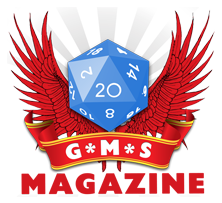 The G*M*S Magazine Podcast Episode 92–Crit Juice! Welcome back humans of all the Galaxy! In this rather awesome episode, I bring you Matt Buchholtz, the second more difficult to pronounce surname I’ve ever had in the podcast, and the first member from the Crit Juice actual play podcast to come and talk to me. Crit Juice is a actual-play podcast with a difference or two, though. Secondly, it’s not just a bunch of guys playing games around a table. It is a bunch of guys playing games around a table getting drunker and drunker as the game progresses. And yes, they get funnier and funnier too. But thirdly, we are talking about professionals here. These are a bunch of guys who actually act and write comedy. For real. I could tell you a lot about them, but I’m sure the photo does give away a fair bit. And what the photo doesn’t give away, the interview will indeed! The Spiel 2011 podcast is out now!